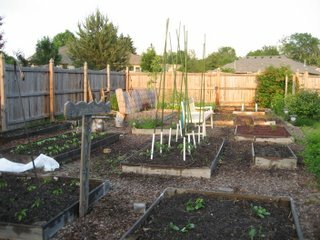 I took this picture on May 31st, approximately 10 days after I planted the vegetable garden. I took this picture on August 6th. 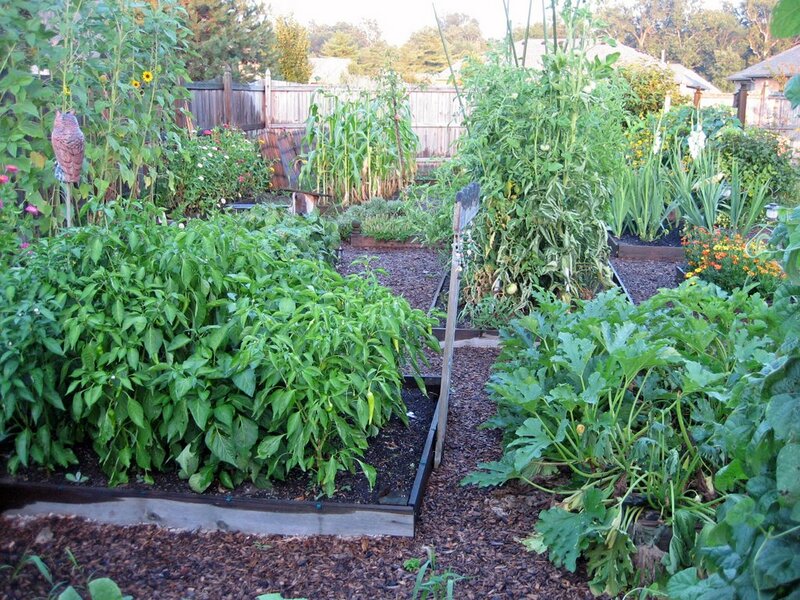 What a difference a few months makes in a vegetable garden. I had enough tomatoes and plenty of hot peppers to make salsa this weekend, and I still have enough tomatoes left over for slicing and eating. I hope to enjoy tomatoes all the way until frost in early October. 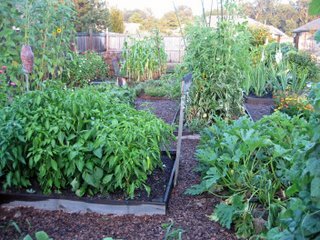 Typically, the first frost is around October 10th around here, but let's not talk about the end of the garden just yet. I never did get a decent amount of green beans, other than one good picking early on. Not even the pole beans are producing pods. I suspect too much fertilizer on my part for the pole beans, but I still blame the rabbits for the bush bean crop failure. I'll rotate my bean crop to a different bed next year and try again. And I'll keep an eye on the pole beans, just in case. I'm still picking a couple of dozen cherry tomatoes on a nearly daily basis and eating them all day long a few at a time. The cucumbers and zucchini have just about had it for the season and by next weekend, I will likely pull out at least the cucumber vines and toss them into the compost bins. Next up to harvest... eggplant and corn from the second bed that I planted in early June. I'm hoping for two good ears, just two good ears! That's incredible how much just a few months makes...great looking garden. What a great before/after picture. I wish I could keep my vegetable garden looking so great! You're right that we don't want to talk about the garden season ending. Have you thought of starting cabbage broccoli or lettuce to harvest this fall? It looks like you have some available space, and you can probably still beat that fall frost!